7 Best Cat Bubble Backpacks in 2019: Let's Adventure! All of us cat lovers have been there, we are enjoying a great view in the middle of our vacation or a weekend out wandering and suddenly the image of our four-legged, furry little feline family member at home comes into our minds and we are consumed by that guilt that we left them at home. We have been there, we check on our Wi-Fi cameras and see what they are doing wishing that we could take them along, and maybe our furry pals would love to come along. What if I tell you that they can? If you are not aware yet or have not seen it on the internet lately, cat bubble backpacks are becoming a fad now. Yes, I am talking on behalf of your cat. There’s no one cat bubble backpacks that rules them all in the cat backpack with bubble window world, but some bags are built better than others. Some travel cat bubble backpacks might have features that others might not, while some bubble bags might be the perfect ones, but the price would make you do a double take on it. Before we begin ticking and talking about the travel bubble bags in our list, we feel that you need to know first the important things that we factored into reviewing this packs and why we feel these are also the things that would make or break a cat bubble backpacks performance. All bags featured here have been considered for vents and their placement. We don’t necessarily think that there is a specific number or size of vents for a single bag, what is more, important is are those vents big enough to let air pass through with considerable ease? Will your little fur baby be able to breathe easily? Will your cat not suffocate and die through heat? And another thing, will it be small enough to not let their paws catch on it or worst, they might be able to slip their heads in there accidentally and get it stuck. We have considered these and all bags featured here have enough holes and vents for environmental control within the bag and to make sure that enough air and oxygen passes through that our little four-legged family member is safe. When we use a bubble backpack for cat or any type of bag for that matter we wear it one way or another or we carry it. A large part of that wearing and carrying means that our bag should have proper support. The same is true for cat bubble backpacks for our furry family. May it be the back support that you get from carrying a 5 pounds to 11 pounds of live family member all around half of the day, to making sure that your straps have enough padding on them so that they do not dig into your shoulders the whole day when you are wearing it, down to the materials on the handle or if it even has a handle on it. 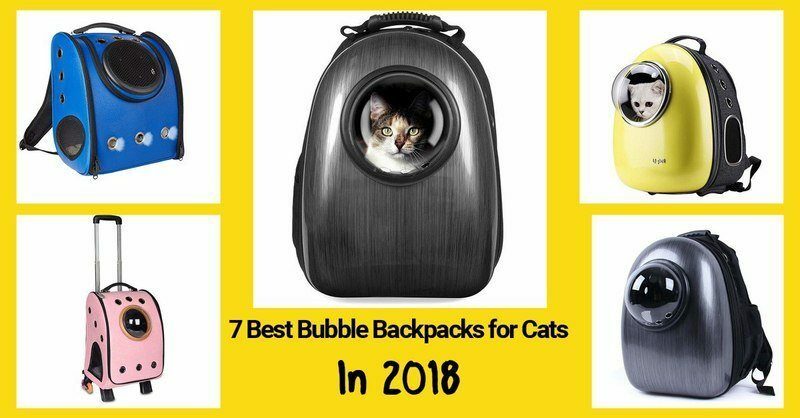 We made sure that all cat backpacks with bubble window featured in this list are a good balance of support and functional usability that benefits both the pet and the owner. After all, they get to live in it, while we get to carry it all day. We touched on how important the material is for the support because that basically affects how hard or how soft the support on the user is. But material consideration when checking out a cat bubble backpack is important because of two things. One is how it will affect the cat carrier bubble window of the bag which is the human. Second and more importantly is how will the material affect your cat. Synthetic leader or real leather might be durable and easier to clean but they can be hot for your furry family and it can dig on your collars if it’s the strap. Mesh might be breathable and washable but if not executed right it can be the reason why you have to but another cat backpack with bubble window at least twice a year. We made sure that all the cat bubble backpacks that made it to our list strikes that good balance between materials that serve their purposes, does not increase the price, elevates the user experience both for the carrier and the little love bundles that we carry along in it. Looks are for Instagram and a design feature that we factored in because of the cat who wants to have cute pictures for their cats. The safety design feature is mainly for the riders in the cat bubble backpacks. Safety design features like hard plastics, extra strength mesh, bubble backpacks that had huge and safe holes or vents quickly made the consideration and a lot have stayed during the elimination and deliberation process. We did not want any furry family member to be in an accident so we reviewed carefully putting a premium on the safety and welfare of our little cats who would be using the bubble carriers. Now, let us talk about cat backpacks quickly and one-by-one so that we can see their basic features, dimensions and why your cat would love you to consider these next cat bubble backpacks in your next travel. 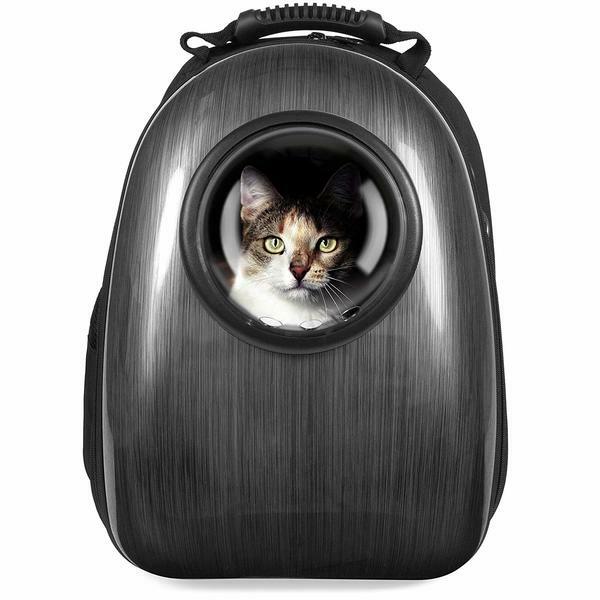 The U-Pet Innovative Bubble Cat Carrier are unique because aside from being a carry bubble backpack it is also a mobile pet bed and car seat. Its design and dimension are generally approved by most major airlines. 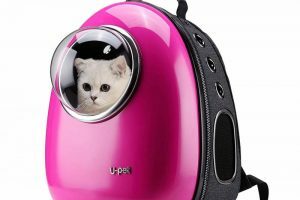 The U-Pet Innovative Bubble Cat Carrier also features a side and back entries – not all bags here can do that, and its vents are bigger and a lot more than the Avopuppy Bubble Pet Carrier. It is 13.4 inches in length, 13 inches wide and about 17 inches high. Its leather strap design can carry a cat as heavy as 16 pounds. 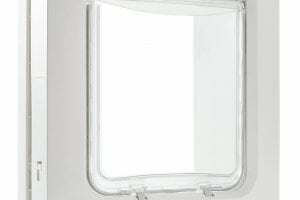 And because most of it is either leather or mesh, it can withstand deformation, scratching, and is very, very durable. It also features a hard covering at the front for maximum protection of our fur babies. 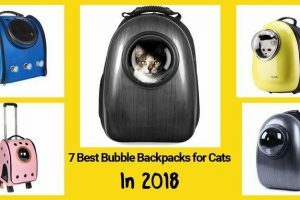 Because of the premium leather and mesh, and design, the U-Pet Innovative Bubble Cat Carrier is possibly the most expensive bubble backpack on this list depending on where you get it. One quick story about the makers of this is that they are fairly new but they have been making waves in innovating products that are already in the market. 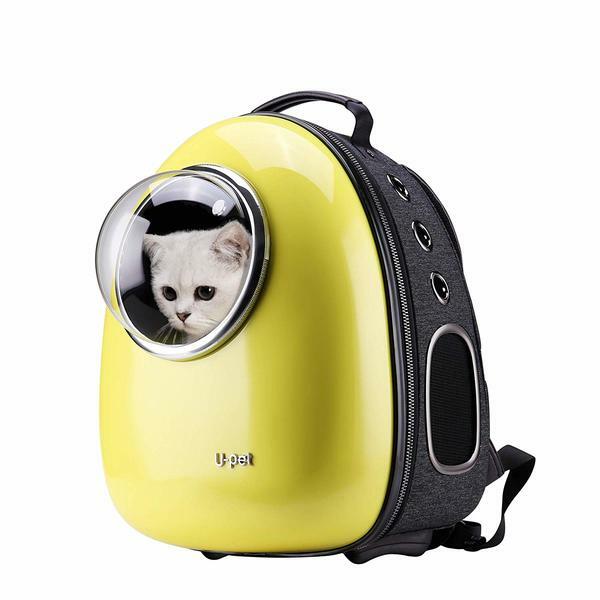 In fact, U-Pet’s Bubble Pet Carrier is some of the most popular in the market today. 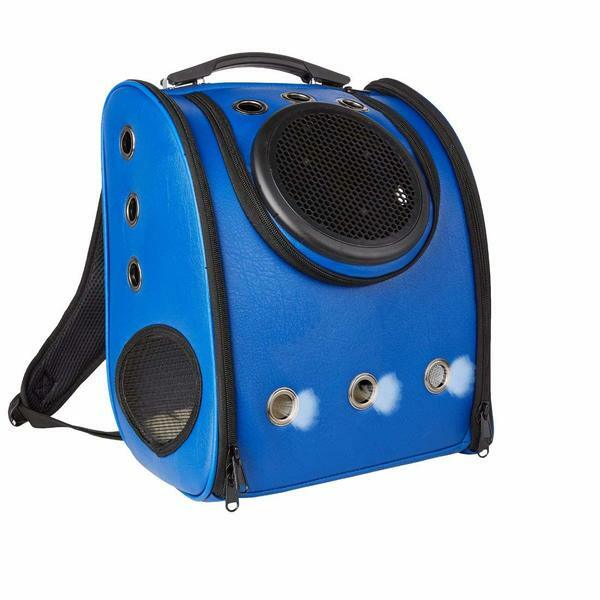 Next is the Pettom cat bubble backpack, it is the only bag on the list that has wheels. When they said that they need a mobile cat carrier, Pettom said, “we gotcha fam,” and released the Pettom cat bubble backpack. More than a backup, the Pettom Cat Carrier is an actual mobile bed and carrier for your pets. 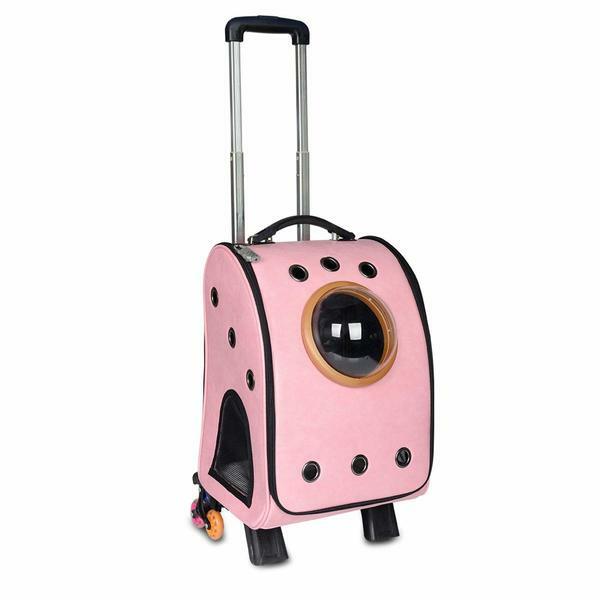 It has wheels and foot pegs like a travel luggage. As the name suggests, it is also airline approved by most air carriers and has removable pads for easy cleaning and comfort. It is 12.6 inches long, 11.4 inches wide and stands at around 16.9 inches in height, minus the long handle. 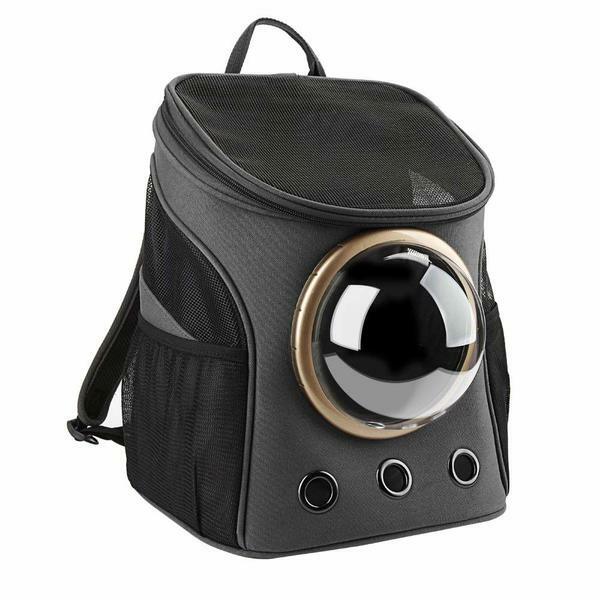 The Pettom cat bubble backpacks perfect for summer travels where you sometimes get tired of carrying things on your back and you decide to just wheel your little buddy around. Most of my friends who have the Pettom cat bubble backpack have the same experience that their cats tend to want to go in it even if they are not traveling or even if the bag is just lying around. Their cats would paw and play begging them to open it and the moment they do, their fur babies would climb in it and just lay there. The Best Choice Bubble Window Backpack is like the other three at the top of the list when it comes to design minus the tires on the Pettom Cat Carrier. 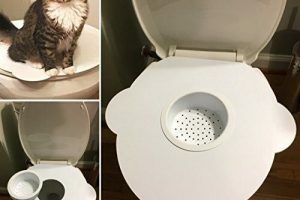 Hard plastic outer covering for cat’s protection, large vents on the side, the clear and aeriated dome on the center so you can check on your little love and he can also enjoy the view while you travel. The Best Choice Bubble Window Backpack though boasts of unique colors that are not common on some of the other bags featured here. They come in blue, black, pink, light pink and green. This cat backpack with bubble Window is 13.5 inches in length, 11.75 inches wide and about 18.5 inches high, and can carry an 11 pound four legged bouncing furry love. This is really best for small to slightly medium cats as it is very handy and can be easily stored and tucked into corners. Full medium to bigger cats would have a problem in fitting inside the Best Choice Cat Bubble Backpack. In my opinion, the MASVIS Cat Bubble Backpack is one of the most fashionable in this list. It deviates from the other designs here in the sense that utilizes a boxier approached as opposed to sleek, hard plastic futuristic look of the others. It is made out of hard leather, the holes are ringed by a hard shiny metal to protect your cat, big zippers for easy access and adjustable straps. 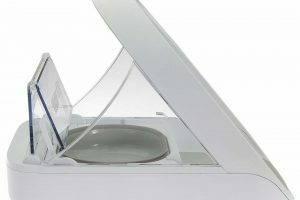 The MASVIS Cat Carrier Bubble Window Backpack also features a huge side entry (both sides) as well as a top entry for cats. It is quite roomy for your pets but surprisingly small, coming in at 12.6 inches long x 8.7 inches wide and 15.7 inches high. I do not know if it is just my eyes playing tricks on me but it looks quite bigger than most bags featured here. Quite possibly the most comfortable one that I have experienced base on this list alone. The MASVIS Cat Bubble backpack lives up to the “hiking” part of its brand name. The Avopuppy Bubble Cat Backpack just like all the bubble backpacks featured here is has a semi-sphere window design. It is quite common looking when to design features and can easily be mistaken as half of the bubble backpacks listed here. The reason mainly though is because this particular design is fashionable and has that new age cute feel. It is 13.8 inch in length and 10.6 in width with a height of around 16.5 inches. It can easily fit and carry a small or medium size dog that weighs around 8 pounds to 14 pounds. It is perfect for travel because it has vents, different ways to carry it and it has a hard top covering the outside of the bag for your furry family’s protection in case of emergency bumps and collisions. Price wise? 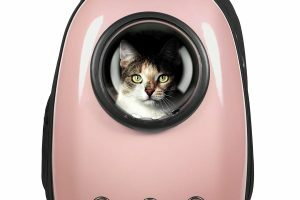 The best bang for your buck in design and looks in this list for me hands down is the Petforu Space Capsule Cat Travel Bag. It is actually huge coming in at 12.60 inches long and 10.24 inches wide at a whopping 16.54 inches in height. The sleek leather and polyester design give it a clean look and the grey colorway is straight fire for me. Very suitable for medium dogs and larger cats and the straps on it are wide and very comfortable. This cat bubble backpack straps are S Shoulder Straps design, which is quite comfortable and they are so wide, you would have no slipping issues even if you wear it in front of you so you and your little baby can enjoy the same view together. It has two zippered sides, a boatload of vents at 15 holes and two huge mesh vents on the side. It also has a plastic/rubber pegs at the bottom, a carrying handle and just a very sturdy and solid look to it. 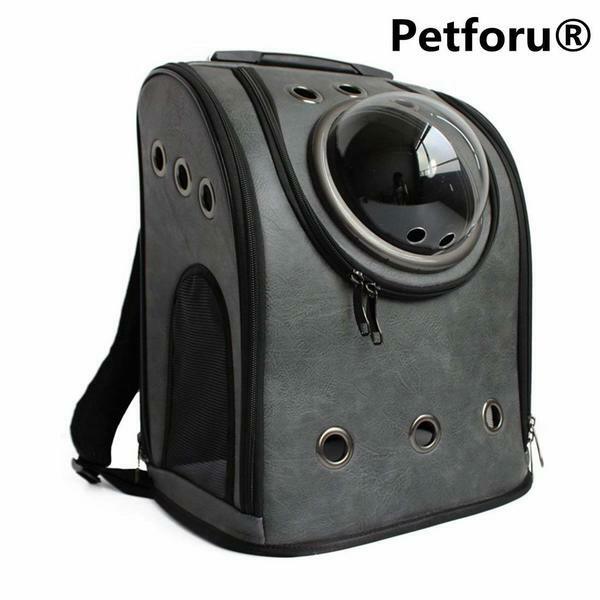 Go check online, and you would be surprised at just how many clients are satisfied with the Petforu Space Capsule Cat Travel Bag. Usually, people have varying reviews of a single product with people having been blown away and some that are really not impressed by it, this one is a bit different. Do not take my word for it, go check online and see the reviews. First of all, there are a lot of different types of Texsens’ Bubble Backpack, so do not confuse the Texsens Transparent and Breathable Cat Bubble Backpack for Spring Outing. The typical Texsens’ Bubble Backpack actually looks like most of the bags featured here, but the Texsens’ Canvas Transparent and Breathable Capsule for Spring Outing is different. 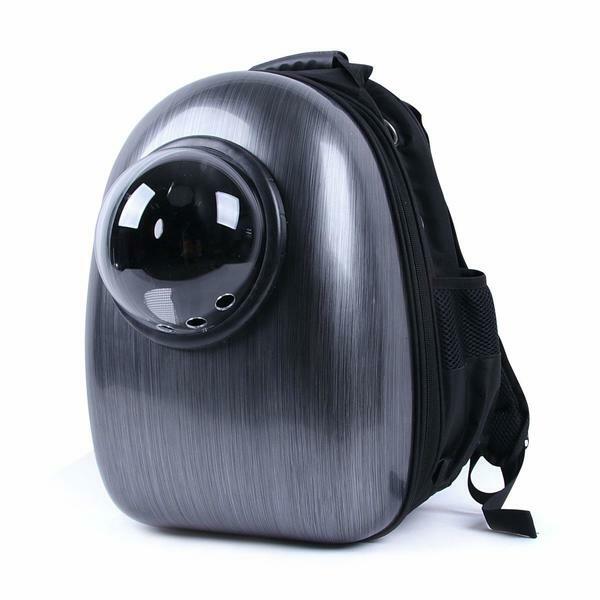 The Texsens Transparent and Breathable Cat Bubble Backpack looks lighter and it is quite unique in the sense that its bubble view is not located at the top part. The bubble viewer is quite bigger and sits in the front with a flat mesh on the top. The mesh is very “spring-like” in its feel because it is quite open and airy and best for your cats to enjoy the season. Texsens Transparent and Breathable Cat Bubble Backpack is 12.4 inches long and 9.1 inches wide and 14.6 inches high. It can fit a cat as heavy as 8 pounds but is best for cats who are medium to small like around 5 or 6 pounds. It is made out of mostly canvas which is breathable and quite easy to wash. The airflow on the Texsens Transparent and Breathable Cat Bubble Backpack is simply amazing for something that has only three holes on the front both side. The breathable mesh on the top really facilitate the air flow, and the ribbing really lends a strong and solid foundation for it. Don’t worry, my cats have scratch tested the mesh on top and none so far have made any dent in the material. Read our full big review on Texsens Cat Backpack. 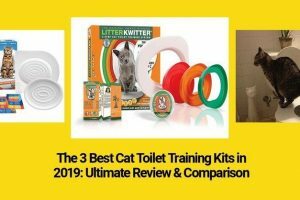 The list we carefully compiled and curated here are not arranged in any ranking or list at all, these are just some of the best that are out there in the market that if your cat can talk to you about, they’d probably tell you to pick one out. When choosing the best cat bubble backpack for your furry partners take into consideration their size and their characteristics. Then look at yourself on what are your tendencies as a traveler, combine those two would give you an idea as to what is the best bag would be for you and your little furry family member. 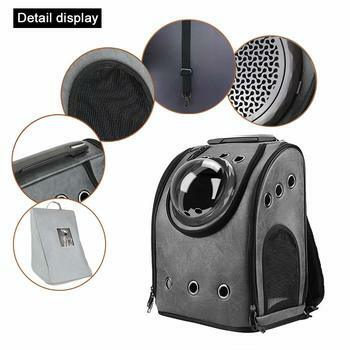 Make sure that you also take into consideration the things that we also considered when making our choices mainly the vents, support, materials, cushion, and look and safety; not because we are the experts in travel cat bubble backpacks, but because this is for the wellbeing of your little furry little four-legged family members. One quick note before we go, most cats if trained properly at home will not soil their personal space especially when they are at home in whatever cat bubble backpack you choose, so remember to bring a short lease when travelling, and let your fur babies out once in a while so they can relieve themselves.